Hadiza is an extraordinarily talented young girl whose home life is very different from the lives of her classmates. She has run away from Kano to Lagos in search of an education with her mother and baby, leaving behind her husband and father who are trying to locate her. Hadiza knows the value of education and refuses to engage in playground politics; she is one of the only people in the school who is not afraid to challenge Diana. She takes a liking to her new teacher corper Yasmin, who encourages her to take on new opportunities and becomes her confidante. Amal Umar has only been acting since 2015 but the teenager has already got close to 30 films in her resume. Although most of her roles have seen her performing in her native tongue, Hausa, she proved her credentials as an English-speaking actress when she starred in a Nollywood film titled ‘Mind Consciousness’. 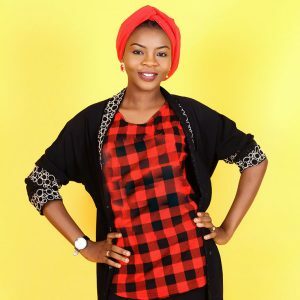 Since then, Amal has worked on her craft and is currently studying a Film and Television Diploma at Yusuf Maitama Sule University. She plays the role of Hadiza on MTV Shuga Naija.